This might sound like something coming straight out of sci-fi movie, but scientists are actually planning to carve a space station out of an asteroid. How is this going to work? Well, the rocky hull around the station will act as protection against the cosmic radiation that isn’t suitable for humans. There are other advantages of using an asteroid station to facilitate the mining operation. 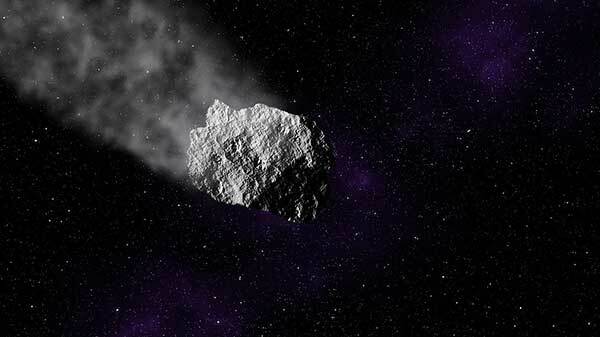 For instance, the spin of the asteroid could create enough gravity that would make mining equipment in carving out the interior and obtaining minerals. At least, that’s what astrophysicists Thomas I. Maindl, Roman Miksch, and Birgit Loibnegger from the University of Vienna in Austria have concluded in a paper. Working from the inside of an asteroid makes more sense, as it would be hard to start drilling away at the surface to break the thing down. The most important part is hollowing out an asteroid that would weaken its structure enough that it compromises its overall integrity. “If we find an asteroid that’s stable enough, we might not need these aluminum walls or anything, you might just be able to use the entire asteroid as a space station,” he added.